Pocono Organics is poised to become one of North America’s largest regenerative organic fruit and vegetable farms. This 50-acre organic farm, located in Long Pond, Pennsylvania, was started by the Mattioli family, founders of Pocono Raceway. We’ve partnered with Pocono Organics to create a thriving regenerative organic operation that will not only provide unprecedented access to organic foods to the region, but over 100 jobs for military veterans and members of the local community. Built to LEED standards and powered by solar and recycled rainwater, Pocono Organics will include 40,000 square-feet of greenhouse space in addition to outdoor fields that will grow vegetables, fruit, and cut flowers. Pocono Raceway hosts thousands of visitors for a dozen racing series each year. 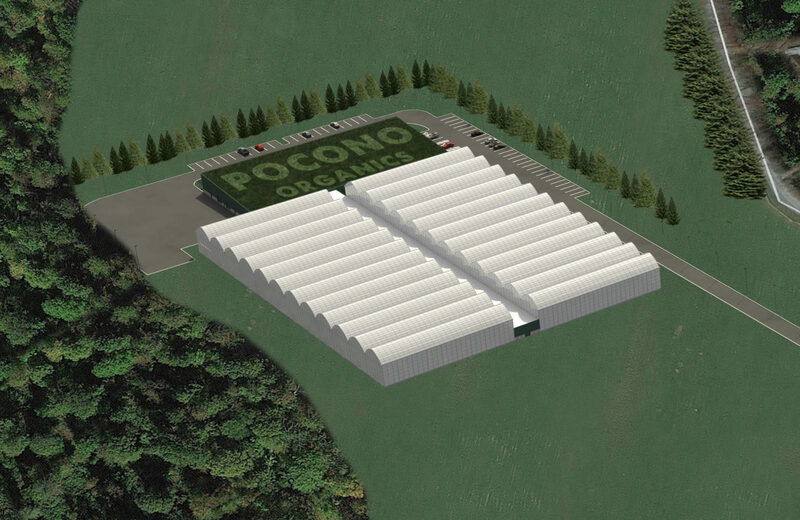 To create a closed-loop growing system, Pocono Organics will provide produce to the track. In return, the track will provide compostable waste for the farm’s regenerative soil program. Pocono Organics will partner with Rodale Institute to offer employment opportunities for graduates of the Institute’s Veteran Farmer Training Program.